TitleHIRONIC, chosen as a 2017 Family Friendly Business Corporate. 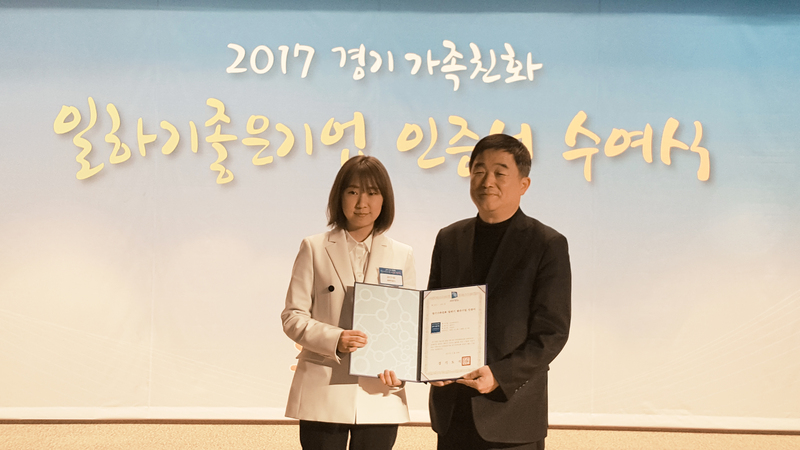 A medical & aesthetic corporate HIRONIC (CEO, Jinwoo Lee) has been selected as 2017 Gyeonggi-do Family Friendly Business Corporate by Gyeonggi-do Business & Science Accelerator. The Family Friendly Business Corporate Award has been given to corporates since 2010 to motivate companies to set up a culture where the employees can have a work-family balanced life. HIRONIC has been promoting a ‘Family Day’ where all the employees get to leave work early once a month, ‘Company Loan’, ‘Flexible Working Hours’, ‘Company House’, ‘Get-Together Clubs’ and more for the sake of its employees. Moreover, through internal Welfare Committee, the company keeps developing the corporate welfare. A member of HIRONIC mentioned that, it is a great pleasure for the company to be promoted as a Family Friendly Business Corporate and that the company will try to promote other ways for all the staffs to continue working in such balanced life. PrevDOUBLO GOLD received CE Certificate.